It’s official. First teased late last month, Blizzard has announced that the latest expansion for its popular Hearthstone: Heroes of Warcraft card game will arrive next Monday, Aug. 24. Named The Grand Tournament, the expansion is definitely expansive. The top feature is the addition of 132 cards along with a new Inspire keyword for Minions. When the Lich King and his undead Scourge threatened the world, the Argent Crusade called upon Azeroth’s mightiest heroes to prove their mettle in a magnificent tournament. Knights of all races flocked to Northrend, vying for glory in epic battles against fearsome monsters. Though the Lich King’s evil has been vanquished, the Grand Tournament continues… the competitive atmosphere’s just a bit more playful than it used to be. And why shouldn’t the show go on? Would-be champions are arriving in droves from all over the world, hankering to prove their worth and claim the honor of flying their colors in the name of victory! And if you’re ready to dive in, you can pre-purchase card packs in a special 50-pack bundle for $49.99. Just to note, the offer – which also includes a new card back – will expire when the expansion pack arrives. The expansion pack’s new game board. 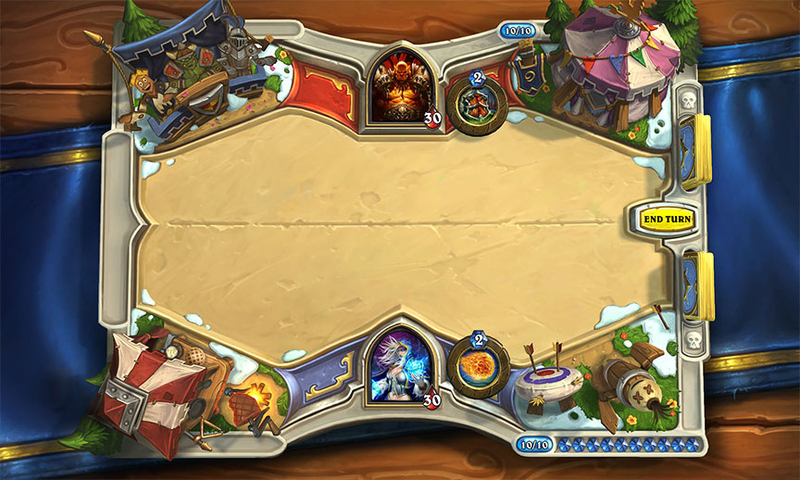 Like other previous expansions, all card packs in The Grand Tournament will be winnable in the Arena mode, purchasable with in-game gold, or real money. They will cost the same as other card packs. 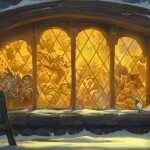 More information about the expansion pack is also available on Blizzard’s site now. Here’s a trailer for the expansion. Click here if you can’t see it. 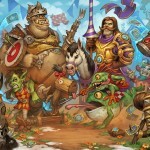 Hearthstone: Heroes of Warcraft, is a universal app designed for the iPhone/iPod touch and iPad/iPad mini, and can be downloaded now on the App Store for free. Even though I’m usually not a big fan of card battle games, Hearthstone: Heroes of Warcraft has easily become one of my all-time favorite iOS games thanks to its expansive story, fun action, and more. And the cross-platform game looks to become even better with the arrival of The Grand Tournament. For other app news today, see: Play that funky music right with TurnTable Pocket, Never type your name, address or email again with QuickKey, and What if you could share just OneMinute with the world?